Flotsam; written and illustrated by David Wiesner; Clarion Books, 2006. "David Wiesner won the 2007 Caldecott Medal today for an eloquent, wordless picture book that encourages children to find the magic in everyday life. […] Throughout Flotsam, shifting perpectives encourage children to see the world from many angles and, above all, to find the extraordinary in ordinary life." 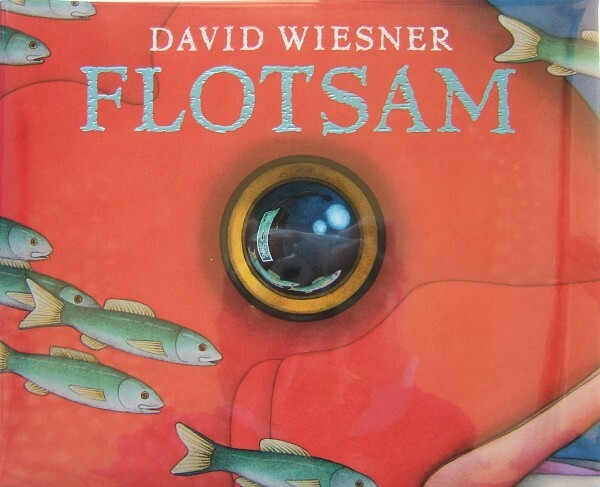 Flotsam is David Wiesner’s third Caldecott Medal, tieing him with Marcia Brown for the most by any illustrator. Wiesner won in 1992 for Tuesday, and in 2002 for The Three Pigs. In addition, he has won two Caldecott Honor awards, in 1989 for Free Fall and in 2000 for Sector 7. Obviouisly, with this third Caldecott Medal award, Wiesner’s first edition books will increase in collectibility and value. All told, the Children’s Picturebook Price Guide lists twenty-eight books illustrated by Wiesner. 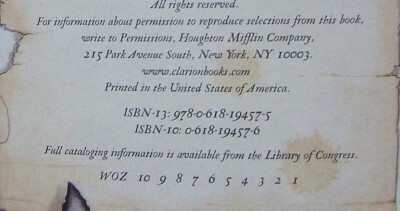 Click here for a list of estimated market values for all first edition Caldecott Medal books.